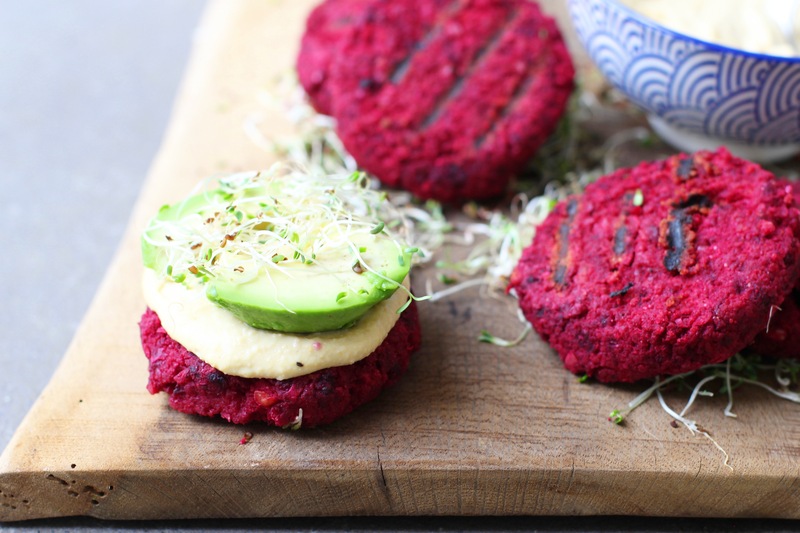 These beet burgers are packed with vitamin C, fiber, magnesium and iron (to name a few) and they have such an amazing colour. I love them with loads of hummus and some slaw for crunch. Peel the beets and chop them into cubes. Sprinkle with sea salt and roast for about 35 minutes until tender. Drain the chickpeas and add them to the food processor with the beets. Mince the garlic and add it in along with the tahini, cumin and lemon juice. Blend until the mixture comes together. Heat a grill pan on medium high heat and add in a glug of olive oil. When it’s hot, add the burgers. Cook for 4 minutes on each side. Transfer them to a roasting tray and cook in the oven for about 5 more minutes. 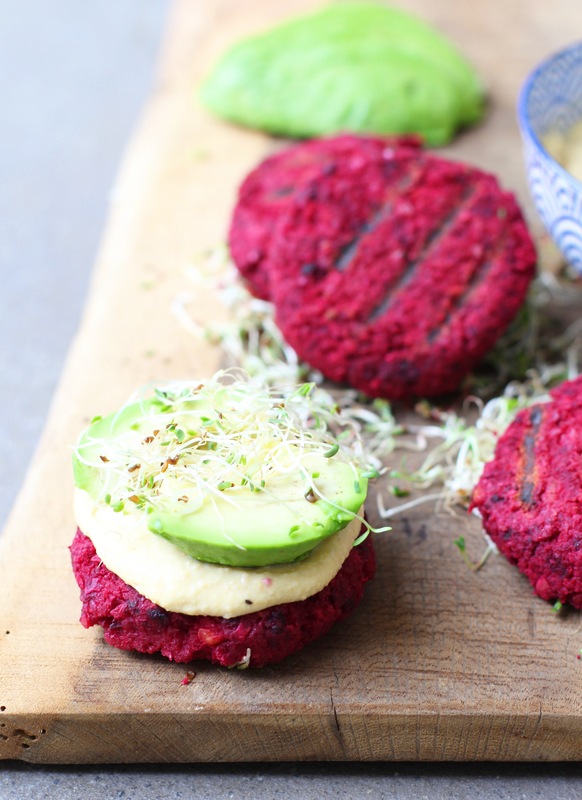 Could you used already cooked beetroot here? Hi Indy, first time I made these they were great. Second time the mix was very sloppy, I tried stiffening it with flour but didn’t work too well. How would you go about stiffening the mix? Hi Gareth, I would add a little chickpea flour if they are too wet. Also using damp hands makes them much easier to shape!